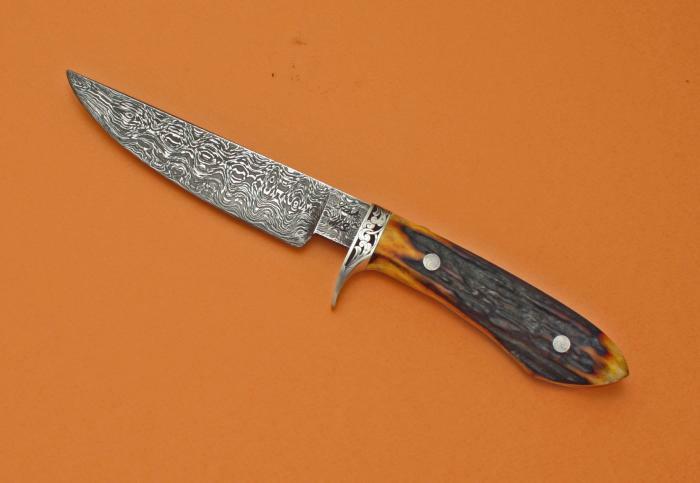 This knife is to be sold at the Arkansas Custom Knife show in Feburary. This Sendero has to be held to appreciate the feel and balance. The stag shape is what called a "saddle" shape, meaning it is thinner in the center with both ends being a bit thicker. The Sendero is one of the best designs to use in "Bushcraft" of in the field hunting or just looking dang good in a collection.